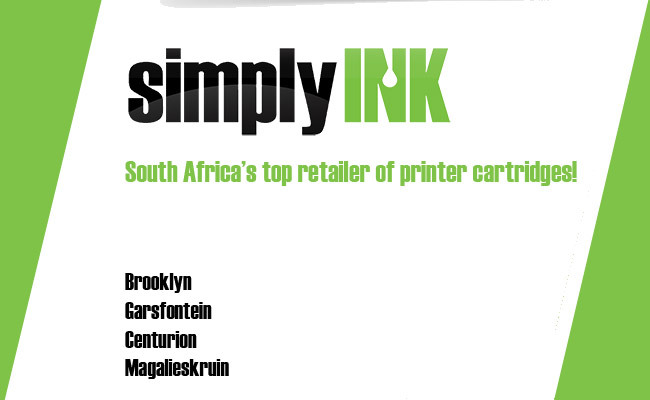 SimplyInk | South Africa's top printer cartridge retailer! We sell original cartridges for all brands of inkjet / laser printers! Compatible cartridges are an affordable alternative to originals! 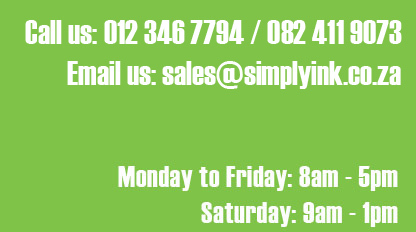 Simply Ink is the oldest specialist printer cartridge retailer in South Africa, supplying quality cartridges to businesses and individuals around Pretoria for over 10 years. We are well-known for our affordable prices, quality products, friendly staff and excellent customer service!